Here we are, 16 months into my child's life and I've just now managed to finish his baby book. Initially I started filling out his first baby book but in my sleepless haze during those newborn months it was not my prettiest handwriting and some of it didn't even make sense! What can I say, I'm a perfectionist. So for the next year I kept adding milestones and fun anecdotes to the Notes app on my phone. Now I'm not tech savvy, but I'm pretty sure that's not the safest place for all of your offspring's most precious memories. 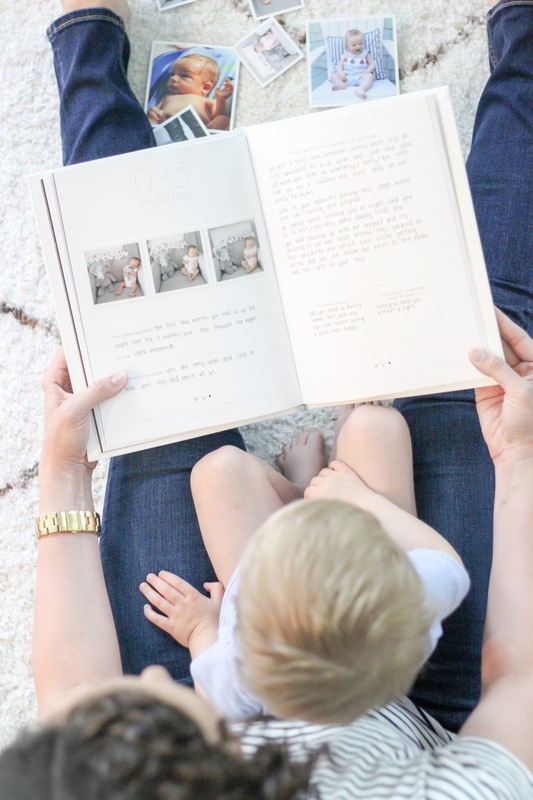 So now that I can officially say I finished Rowan's Mushybooks baby book, I wanted to share a few tips I learned along the way for new mamas or those who are maybe a little bit (okay I was a lot) behind! 1. Pick a book you love. I didn't love some of the cheesy prompts in Rowan's first baby book and I honestly think that is one of the things that kept me from filling it out. 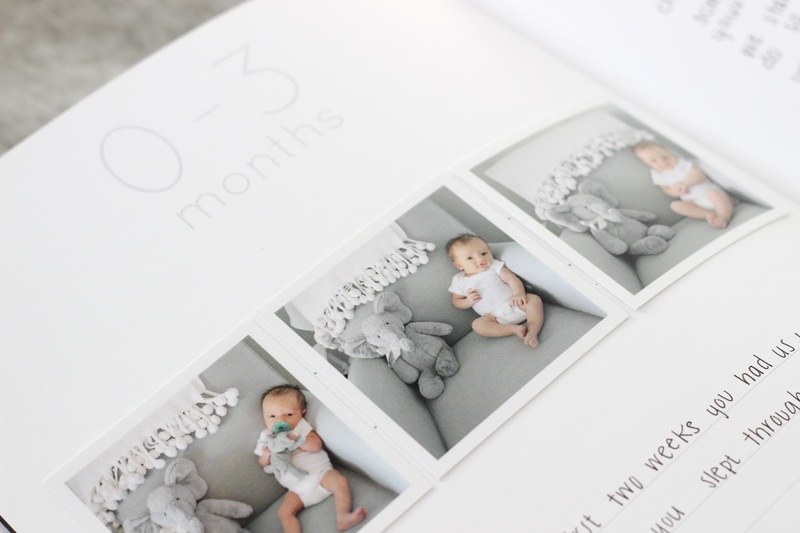 So before you decide, look for a baby book with a similar aesthetic to yours, fun but not annoying prompts, and a place to hold special items. I love the simplicity of Rowan's 'Dreamcatcher' Mushybook. There are a lot of different options (see them here!) but the 'Dreamcatcher' is gender neutral, has the sweetest prompts, and clean lines. It also has an envelope in the back where I keep his hospital bracelets, birth announcement, first hat, and the name card that was in his hospital bassinet. I also love that Mushybooks offers additional pages for your baby shower, baptism, and even toddler pages to add to your book. This is one case where I'm really glad I filled out the baby book all at once and later on, because I had so many photos to choose from and plan out for all of the spots in the book. 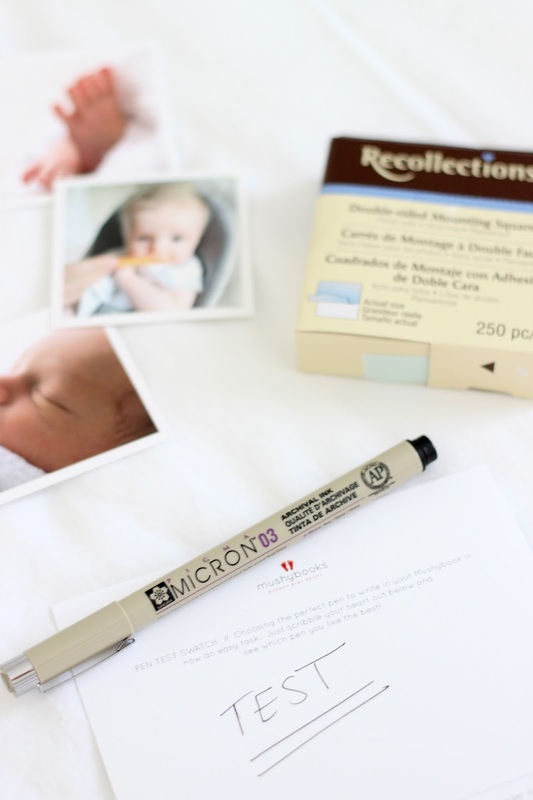 I highly recommend making a list of all of the photos you need for the baby book, printing them, and planning out where you want them before attaching any. 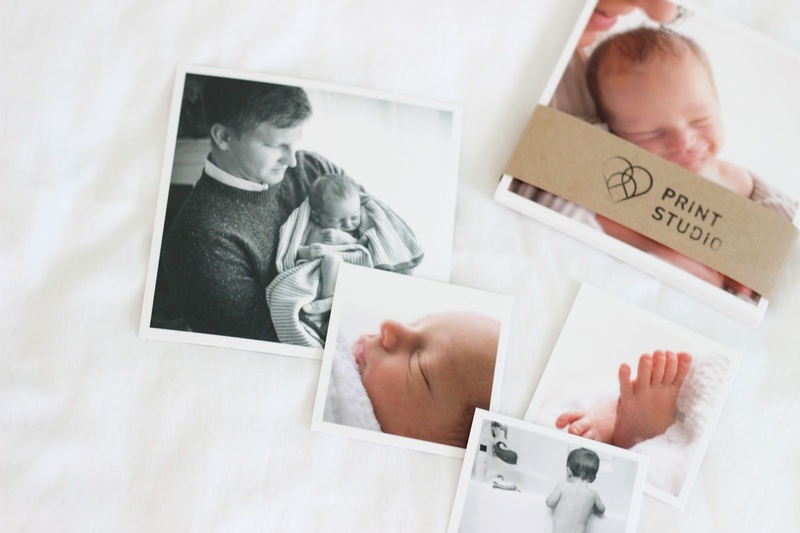 I love the look of square photos and I couldn't be happier with Social Print Studio photos! The prints are thick, beautiful, and the turnaround was really quick. I used a combination of their 4x4" squares and minisquares. 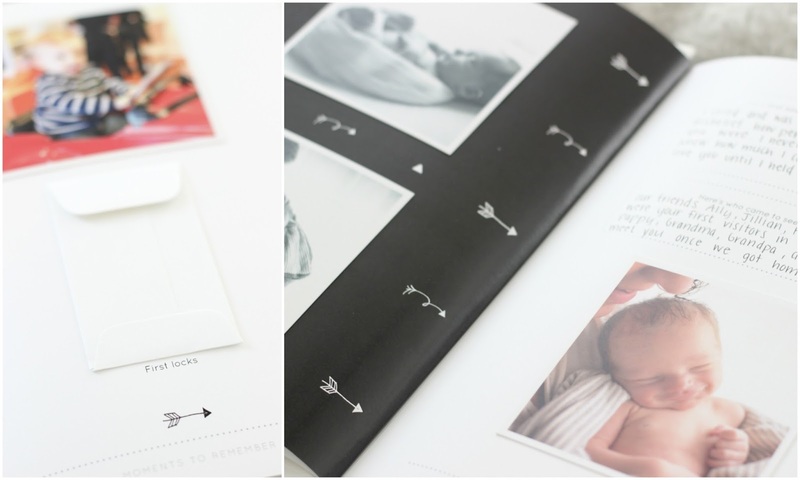 Social Print Studio also has a photostrip option which I think could be really fun for baby books! One of my biggest pet peeves is when my pens bleed through on my planner, so I was bound and determined to make sure that didn't happen. I highly recommend getting double-sided mounting stickers for whichever book you decide on and a Micron 03 pen. I used it on the test paper that came with the Mushybook to make sure it didn't bleed through and it writes very easily. 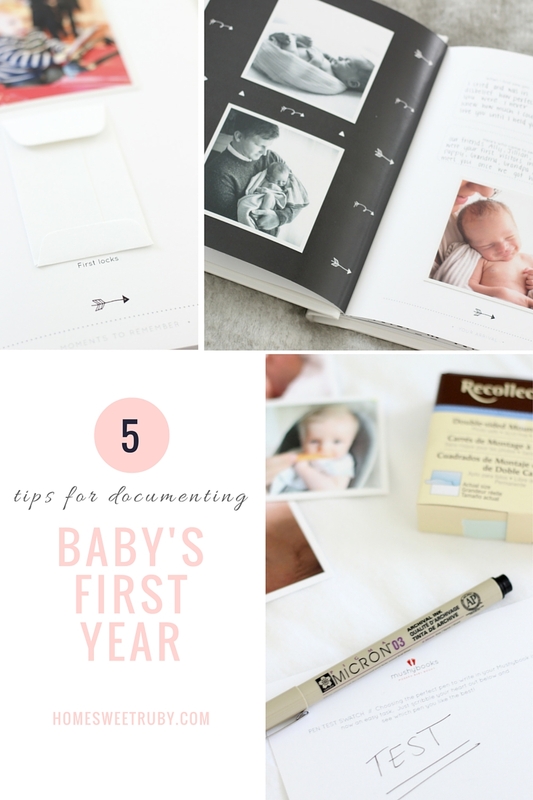 There are so many memories to record in a baby book, it can be a little overwhelming to write them all down at once. Personally I rushed through some of the sections in R's first book and wasn't very happy with what I wrote. Instead of filling in the baby book immediately, I suggest taking notes either in a notebook or on your phone and then writing everything at once at the end of the month, or every 3 months. 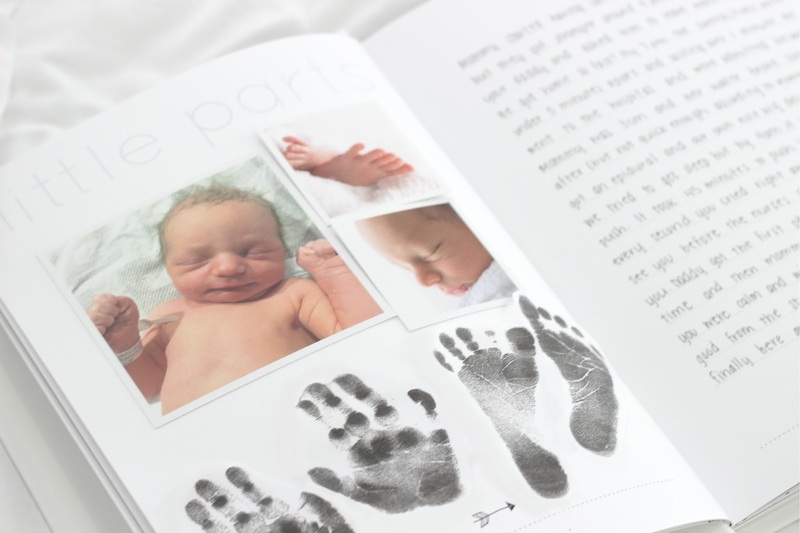 Odds are you won't be filling out the baby book while at the hospital, but it is so much easier to ask the nurses for help with hand and foot prints! They have to do prints anyway, so have the page flagged and ready for them. If you are redoing a baby book like I did, I suggest making a copy of the original prints on card stock and sticking them in the new book. I saved the original prints in the back pocket of the Mushybook. I'm so glad I have Rowan's baby book done, even if it took me this long! I still plan on making photo album for each year (I've got to do something with the thousands of photos I've snapped!) but there is something really special about having a dedicated baby book to write all of our favorite memories from his first year. Thank you to Mushybooks for providing a discount for the purposes of this post and to Social Print Studio for the beautiful prints! As always, my thoughts and opinions are my own. Thank you for supporting the brands that make Home Sweet Ruby possible! I am currently working on my son's baby book right now and I am trying to keep up with it because I started late on my first child's and then I felt all behind and it stressed me out. I am a total perfectionist as well so that just makes the task more daunting because I want everything perfect. What an adorable book! I'm with you, almost 15 months old and haven't even started it yet! I'll get there, I hope! I'm super bummed that the hospital didn't do finger and foot prints!